يقع Carrington Court Hotel في منطقة مشهورة للغاية في المدينة. هذا الفندق هو من الخيارات الشائع بين المسافرين. إن موقعه الجيد الذي يبعد 2 km فقط عن مركز المدينة يساعد النزلاء على الاستمتاع بمعالم المدينة ونشاطاتها. سوف يعشق النزلاء موقع هذا الفندق، فهو قريب من أهم المعالم السياحية في المدينة . إن الخدمات التي يقدمها Carrington Court Hotel تضمن للنزلاء إقامة مريحة. يمكن لضيوف الفندق الاستمتاع بالميزات التالية على أرض الفندق: واي فاي مجاني في جميع الغرف, خدمة حجز التذاكر, تخزين الأمتعة, واي فاي في المناطق العامة, صف السيارات. استمتع بوسائل الراحة الراقية في الغرف أثناء إقامتك هنا. بعض الغرف تتضمن تدفئة, شرفة/ تراس, ساعة منبه, تليفون, مروحة لمساعدتك على استعادة طاقتك بعد يوم طويل. يقدم الفندق العديد من الفرص للاستجمام كمثل مركز للياقة البدنية, ساونا, مسار جولف - ضمن 3 كم, حمام سباحة خارجي, ملعب تنس. إن Carrington Court Hotel هو خيارك لخدمة الفنادق الراقية في المدينة. يُرجى العلم أن ساعات عمل مكتب الاستقبال من الإثنين إلى الجمعة من الساعة 9:00 صباحًا إلى الساعة 5:00 مساءً، وأيام السبت من الساعة 9:00 صباحًا إلى الساعة 11:00 مساءً، وأيام الأحد من الساعة 9:00 صباحًا إلى 10:00 صباحًا. Great hotel in a great position. Just across from the beach with a cafe, seven Eleven and Subway next door. 30 min walk into Cavil Ave.
Not sure if it was Agoda or the property but when I placed in my filter for an air-conditioned property, Carrington Court Hotel came up. What they didn't advise was that only some of the rooms were air-conditioned and if I wanted an air-conditioned room I needed to request one. Not the best property to stay in during an Australian summer. Location was great to get to the beach. from the moment I stepped onto the property I knew this was a cut above the rest Jane was fantastic and really took the time to go to the hotel and the local area to ensure you got the best out of your stay the hotel accommodate all your needs from free parking free wifi discounts at local restaurants and the view OMG the view. you will not find a better hotel and staff anywhere else! Lovely service, gorgeous beach view. Apartment was huge. Thank you. This must of been our fifth or sixth time here at the apartments. They just seem to get better each time we return. Mike and Jane could not be more helpful even when things go wrong........A minor hiccup with the booking and Jane in Brisbane watching the Adele concert it was all sorted out within a couple of minutes........Could not wish for any better. Will be returning again next year to see them. Extremely good accommodation with plenty of space. 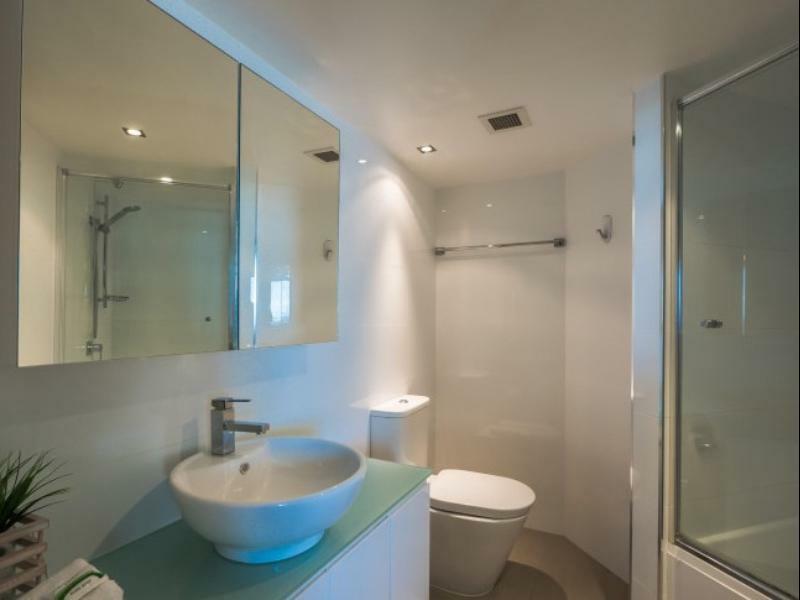 Great for couples who do not want to be in the hustle and bustle of Surfers paradise. We have stayed several times throughout the last 10 years and would always stay here. A few minutes walk away from good restaurants of Tedder Ave. Good value for money and the new management staff very helpful and friendly. Nothing is too much trouble for them. Modern refurbished apartment. Very nice but lack of any airconditioning which made for some hot and sticky nights (even with ceiling fans). Very good, suited our needs, loved the spacious room and living area, no dramas requested early check-in and arrived and checked in straight away, high floor and we're 2nd from the top. Staff friendly, undercover parking, good security. 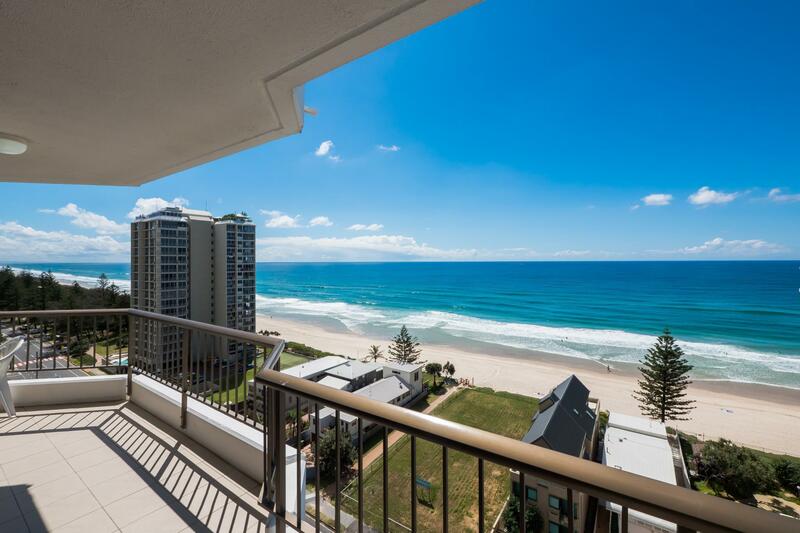 Enjoyed our stay very much as once the car was parked we could sit back and enjoy - the comforts of the unit, a walk along the beach, into Surfers Paradise, along Tedder Avenue, a meal at Surf Club. Kitchen facilities meant we could eat in for some meals or walk to a variety of restaurants close to hotel. Hotel was perfect for a quiet getaway. room was clean and tidy, everything we needed was in the room. we will be back! !